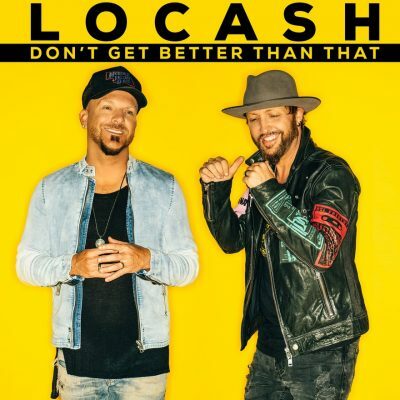 Reviver Records breakout duo LOCASH will deliver a game-changing performance this Friday (2/2) at the Pepsi Generations Live pop-up in Minneapolis, MN as part of Super Bowl LII celebrations. Following a blitz of critical acclaim for their pumped-up anthem “Don’t Get Better Than That,” the pair will take the stage for a private show following the trophy presentation of the 2017 Pepsi NFL Rookie of the Year. After scoring a trifecta of awards show nominations at the CMA, ACM and CMT Awards in 2017, the duo wrapped up a banner year by premiering “Don’t Get Better Than That” on NBC’s Megyn Kelly TODAY. Poised for MVP status in 2018, Lucas and Brust are set to follow their high-profile Super Bowl week performance with an appearance on the NFL Network’s comedic sports countdown show NFL Top 10. Airdates will be announced soon. Widely recognized for their hustle and drive, LOCASH is slated for a jam-packed tour schedule in the year ahead. They will headline upcoming shows in Belvidere, IL (2/7) and Wabash, IN (2/8), before sharing the bill with Eli Young Band in Columbus, OH (2/9) with an exciting tour announcement coming soon. Find the most current LOCASH tour dates from our partners at Country Music On Tour, your trusted country concert ticket source! Country Music News Blog participates in advertising programs that help fund the operation of this site. For more information please visit our privacy statement. This entry was posted in LOCASH, Press Releases, Television by Shauna "WhiskeyChick" Castorena. Bookmark the permalink.